There are many exciting races in Iceland both big and small. These 10 most popular running events in Iceland can all be wholeheartedly recommended. Fun costumes are everywhere as runners say goodbye to the old year and celebrate the new in ÍR’s New Year’s Eve race in Reykjavik, held on the 31st of December. The course is fast and scenic but wind, ice or snow might make that PB difficult to reach. Great organization, beautiful running paths and a determination to put on a top race are the keys to why this race is one of the best running events in Iceland. 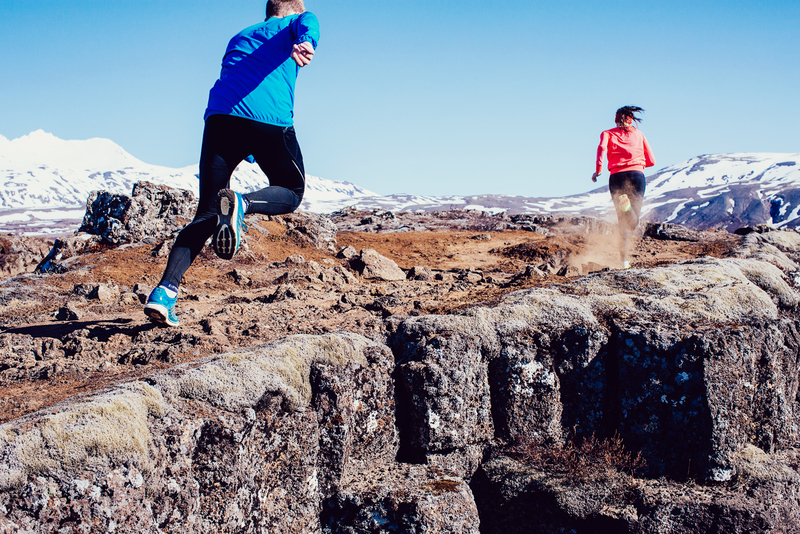 The course is in Fossvogur valley which is one of Reykjavik’s most popular running areas. There is both a 5K race and a 10K. This very popular 10K winter race series, held once a month from October to March, draws the crowds no matter how bad the weather is. The race is held in all kinds of weather and in all kinds of conditions. The October edition had almost as many runners but we decided to count them only once! 10. Adidas Boost 10K – 394 finishers. This is a 10K on one of the most beautiful areas of Reykjavik, the Elliðaárdalur valley. After the race there are generous refreshments!